Razer’s award-winning hardware ranges from high-performance gaming peripherals (for the PC and console platforms) to the Razer Blade gaming laptops. Razer’s software platform, with approximately 60M users, includes Razer Synapse (an Internet of Things platform), Razer Chroma (a proprietary RGB lighting technology system), and Razer Cortex (a game optimizer and launcher). In services, Razer zGold is one of the world’s largest virtual credit services for gamers. Razer Pay is the e-wallet designed for youth and millennials. Razer has won the Best of CES for an unprecedented seven years in a row, including People’s Choice Award, Best PC, Best Gaming Device and Best Concept, among others. Razer’s Mice have won numerous awards over the years from renowned publications including Best Wireless Gaming Mouse, Best Mouse for Gaming, Most Popular Mouse, Best Overall Mouse and numerous Editor’s Choice Awards. Razer’s range of gaming keyboards have been receiving recognition from publications including numerous Editor’s Choice awards, Best Gaming Keyboard, Best Mechanical Keyboard and Best Keyboard for Gaming. Razer’s audio products have been winning awards across the board, such as Best Gaming Headset, Best Soundbar for Gaming, Platinum Award for Speakers, Speaker of the Year, Top Headset and numerous Editor’s Choice Awards. The Razer Blade family of gaming laptops and ultrabooks have been winning awards for innovation and quality, including Best Laptop, Best Innovation, Best Ultraportable Laptop and numerous Editor’s Choice Awards. Razer’s Gaming lifestyle products such as the Leviathan Mini and The Nabu Smartband have won awards from prestigious tech publications such as Stuff Magazine, Engadget and Tweaktown. Razer Chroma, the world’s largest lighting ecosystem for gaming devices expands beyond Razer devices through strategic partnerships with Philips Hue, MSI, NZXT, AMD, and many more to enable a unified gaming experience. Razer acquires and integrates MOL, bringing its global office footprint to 15. Razer Pay e-wallet service launches in Malaysia. Razer launches its digital Games Store, rewarding customers with zSilver loyalty rewards credits for any purchase. Razer launches the world’s smallest 15.6-inch gaming laptop, the Razer Blade 15, featuring GTX1070 graphics and a 144Hz screen. Razer Phone 2 launches with latest flagship components, thermal cooling solutions, and Razer Chroma. Razer launches new flagship Huntsman gaming keyboard line featuring Razer’s groundbreaking Opto-Mechanical™ Switch. Razer launches new THX certified Nommo speaker line, providing full range audio immersion for movies, music and gaming. Razer takes home over 20 “Best of CES” 2018 awards combined for its Project Linda mobile computing prototype, and new wireless HyperFlux mouse and mat technology. Global This is Esports brand campaign launches with all Team Razer athletes and teams. In partnership with Three Hong Kong, the sixth RazerStore opens in Hong Kong. Razer establishes global partnerships with CK Hutchison’s Three Group and MOL AccessPortal. Razer launches zGold and zSilver services, known together as zVault. Razer wins “Best of CES” for the seventh year running for Project Ariana for the “Best Gaming” category, as well as the “People’s Choice Award”. Razer launches the Razer Lancehead — the world’s most advanced wireless gaming mouse. The Razer Panthera is the official fighting stick of the Capcom Pro Tour. Fourth and fifth RazerStores open in San Francisco, USA and Shanghai, China. Razer wins “Best of CES” for the sixth year running for the Blade Stealth laptop for the “Best PC” category, as well as the “People’s Choice Award”. Razer launches zVentures, earmarks up to $30 Million for startups and emerging tech. OSVR announces $5 million developer fund. Razer launches world’s first ultra-low-profile mechanical keyboard switch. Razer launches its first licensed PlayStation peripherals — the Razer Raiju esports controller and Razer Panthera arcade stick. Razer launches the Razer Ornata, the world’s first mechanical-membrane keyboard, at Pax West. Razer launches Overwatch, Deus Ex and Tomb Raider Licensed Razer peripherals. Team Razer’s SKT Telecom T1 wins League of Legends Worlds Championship for the third year in a row. First RazerStore opens in Taipei, Taiwan. Second and third RazerStores open in Manila, Philippines and Bangkok, Thailand. Razer wins “Best Gaming” at CES with the Razer Forge TV, an Android TV micro-console, as well as “People’s Choice” for the fifth year running. Team Razer signs Call of Duty teams, Team eLevate, Prophecy, and Automatic Reload. Team Razer sponsors the world’s largest extreme sports event featuring esports, the MLG X Games, where Team eLevate takes the bronze. Team Razer sponsors 2013 League of Legends (LoL) World Champions, SK Telecom T1, widely regarded as the world’s most dominant LoL team, and home to the renowned Lee “Faker” Sang-hyeok. Razer announces another world’s first — the Razer Nabu, a wearable device capable of notifications, fitness tracking, band-to-band social connectivity, and gamification. Project Christine wins “Best PC” at CES. And for the fourth consecutive year, Razer scores the “People’s Choice” award. Co-founder Robert Krakoff steps down from active President role to an advisory role as President Emeritus. Razer launches its first product for streamers and broadcasters — the Razer Seirēn digital microphone. Razer teams up with NZXT™ and produces the first product of their collaborative program, the NZXT H440 — Designed by Razer. Team Razer snags over 280 podium placements and nets US$4 million in prize money. Team Razer sponsors premier Korean professional gaming team, KTRolster. The team is home to one of the most accomplished esports athletes of all time, Lee “Flash” Young Ho, also known as “God”. Razer wins “Best of Show” at CES with the Razer Edge, the world’s most powerful tablet, along with the “People’s Voice” award. Together with Evil Geniuses, Team Razer co-founds Alliance. The team goes on to win Valve’s esports tournament, The International 3, and is awarded over US$1 million in prize money. The world’s first professional Hearthstone player, Jeffrey “Trump” Shih, joins Team Razer. Team Razer snags over 180 podium placements throughout the year and nets US$3.5 million in prize money. Razer unveils the Razer Blade, the world’s thinnest gaming laptop. Razer releases Razer Synapse, the world’s first cloud-based storage for personalized game settings. Project Fiona, the gaming PC and tablet hybrid, makes its debut at CES. Razer dominates at CES, winning four awards with Project Fiona and the Razer Blade. Razer launches the Kraken line — its bestselling family of ergonomic PC gaming headsets. Taipei Assassins, an esports team under Razer sponsorship, wins the RIOT Season 2 finals and takes home $1,000,000. Team Razer grows to more than 400 strong, comprising over 50 competitive gaming teams from 35 countries, and nets a total of US$3 million in prize money. Razer’s technology center opens in Austin, Texas. Razer opens next R&D center in Taipei, Taiwan. The Razer Onza, a gaming controller for Xbox 360, revolutionizes console esports and earns rave reviews and awards. The first of Razer’s systems, the Razer Switchblade Concept, wins the prestigious Best of CES — People’s Voice award. Razer partners with one of the early names in esports — Team Liquid, a StarCraft II professional team. Team Razer sponsors South Korean StarCraft: Brood War esports athlete and national celebrity, SlayerS_BoxeR, as well as two PvE World of Warcraft guilds, Manaflask and Method. Razer sponsors IGN’s official esports league in Las Vegas, the IGN Pro League 3. LGD, one of China’s largest esports organization and home to a world elite Dota 2 team, joins Team Razer. Razer establishes China regional headquarters in Shanghai, China. Razer launches the Razer Megalodon 7.1 flagship headset. Razer increases esports investment and sponsors top Korean pro-gaming organization, WeMade FOX — home to top esports talents in Warcraft III and Counter-Strike 1.6. Razer’s first mechanical gaming keyboard, the Razer BlackWidow, surpasses all others in performance and popularity. Razer moves its global co-headquarters from San Diego to San Francisco, California. Engineered with the world’s first gaming-grade wireless technology, the Razer Mamba makes headlines as the fastest mouse of its time. Razer launches Razer Sphex esports edition mouse mats with Sky, Team Dignitas, MeetYourMakers, and Mousesports. Razer opens R&D center in San Francisco, California. Team Razer Warcraft III esports athletes Xiao Feng “Sky” Lu and Jaeho “Moon” Jang both bear the Olympic torch at the Beijing 2008 Olympics. Razer sponsors one of the world’s most dominant esports teams, Evil Geniuses — home to Warcraft III legend, Manuel “Grubby” Schenkhuizen, and Quake veteran, Paul “czm” Nelson. Razer sponsors the first Team Liquid StarLeague, a highly-popular non-Korean StarCraft: Brood War tournament run by one of the world’s largest StarCraft communities. Razer expands to Europe and establishes regional European HQ in Hamburg, Germany. Razer launches the flagship Razer Lycosa gaming keyboard. The Razer Mako 2.1 debuts at CES as the first desktop speaker system to incorporate THX Ground Plane™ and THX Slot Speaker™ technologies. In collaboration with Microsoft, Razer designs the Habu gaming mouse and Reclusa gaming keyboard, and markets them under the Microsoft/Razer co-brand. Razer sponsors esports team, Fnatic — home to professionals such as Sander “Vo0” Kaasjager, winner of more than half of all Cyberathlete Professional League (CPL) World Tour stops. The Razer DeathAdder gaming mouse launches and becomes the bestselling gaming mouse in the world, and one of Razer’s most iconic products to date. Founding of Razer by Min-Liang Tan and Robert Krakoff. The establishing of dual headquarters in San Diego, California and Singapore. Razer launches the flagship Razer Diamondback gaming mouse. Mr. Min-Liang Tan was designated as an executive Director and was appointed as the Chairman of the Board on June 21, 2017. He is also a member of the Remuneration Committee of the Company. Mr. Tan is the co-founder and Director and has served as the Chief Executive Officer since September 2006. He also served as the Creative Director since September 2006 and is responsible for directing and overseeing the design and development of all products of the Company. Mr. Tan also holds positions in other members of the Razer Group, namely as a director of Razer (Asia-Pacific) Pte. Ltd., Razer USA Ltd., Razer (Europe) GmbH, Jook, Inc., Razer Everglide Pte. Ltd., Razer Taiwan Co., Ltd., Razer Chengdu Pte. Ltd., Razer Korea LLC, Razer Online Pte. Ltd., OUYA Global Pte. Ltd., OUYA Publishing Inc., RazerVentures Holdings Pte. Ltd., ZVF2 Pte. Ltd., THX, THX Holdings Limited, ZVMidas Pte. Ltd., Razer Pay Singapore Pte. Ltd. and Razer Pay Holdings Pte. Ltd., and the chief executive officer of Razer USA Ltd., OUYA Publishing Inc. and THX. Prior to the founding of Razer in 2005, Mr. Tan was an attorney at Rajah & Tann, a law firm in Singapore. Mr. Tan obtained a bachelor’s degree in law from the National University of Singapore in August 2002. Mr. Khaw Kheng Joo was appointed as an executive Director on June 21, 2017. Mr. Khaw has served as the Chief Operating Officer since June 2012. From October 2009 to November 2009, Mr. Khaw served as the interim Chief Executive Officer, and from February 2011 to May 2012, Mr. Khaw served as the consultant and interim Chief Operating Officer. From 2000 to 2001, Mr. Khaw was the president of Omni Electronics (later acquired by Celestica Inc. in 2001), a large electronic contract manufacturer in Asia. After the acquisition, Mr. Khaw served as senior vice president of Celestica Inc. until 2002. Mr. Khaw previously spent 26 years at Hewlett-Packard Company developing extensive experience in both technology and manufacturing operations. From 2002 to 2009, Mr. Khaw served as the chief executive officer as well as a member of the board of directors of MediaRing Ltd, a mobile VoIP, voice, data and computing services company. From 2005 to 2011, he served on the board of directors of SATS Ltd. Since 2011, Mr. Khaw has served on the resource panel for Credence Partners Pte. Ltd. From 2011 to 2013, Mr. Khaw served on the board of directors of Multi-Fineline Electronix Inc.
Mr. Khaw obtained a diploma in electronic and communication engineering from Singapore Polytechnic in August 1973, a bachelor’s degree in electrical and computer engineering from Oregon State University in June 1982 and a master degree in business administration from Santa Clara University in June 1987. Mr. Chan Thiong Joo Edwin Aged 40, was appointed as an executive Director on June 21, 2017. Mr. Chan has served as the Chief Financial Officer since June 2013. Mr. Chan previously served as the Director of Corporate Finance from July 2009 to May 2011, the Vice President of Strategy and Corporate Finance from May 2011 to May 2013, and Director from November 2012 to March 2015. Mr. Chan is also responsible for leading corporate strategic initiatives for the Company. Mr. Chan also serves as a director in certain subsidiaries of the Company, namely Razer (Asia-Pacific) Pte. Ltd., RazerVentures Holdings Pte. Ltd., ZVF2 Pte. Ltd., THX, ZVF1 Pte. Ltd., ZVMidas Pte. Ltd. and ZVMidas Cayman Inc.
Mr. Chan has over 15 years of experience in finance and capital markets, including six years of financial reporting experience. Mr.Chan previously worked at global investment banks and a global hedge fund. Mr. Chan obtained a bachelor’s degree in accounting and finance with first class honours from the London School of Economics and Political Science in July 2001. Ms. Patricia Liu is Chief of Staff of Razer, responsible for leading the company’s strategic planning and overseeing large, cross-functional organization-wide projects and initiatives. In addition to being a strategic partner to the top management, Ms. Liu plans and directs all administrative, IT, eCommerce, and customer advocacy activities in Razer. Ms Liu also serves as a director in certain subsidiaries of the Company, namely MOL Global Inc., MOL AccessPortal Sdn. Bhd., MOLPay Sdn. Bhd., and MOL Holdings (Thailand) Co Ltd. Prior to joining Razer, Ms. Liu was the Managing Director of Omega Engineering, a precision instrumentation and controls company. In her tenure of 15 years in Hewlett Packard, she served in various positions including Vice President and General Manager of Sales Operations, Chief of Staff in the Asia Pacific Global Operations and Information Technology group as well as other leadership positions in Marketing, Product Management, Total Customer Experience, Quality Management, and Corporate Communications. Ms. Liu holds a Bachelor of Business Administration from the National University of Singapore and an executive diploma in board directorship from the Singapore Management University. Mr. Lee Li Meng is the Chief Strategy Officer of Razer, responsible for the development and execution of Razer’s ongoing corporate strategy, driving Razer’s strategic initiatives, including mergers and acquisitions, investments, partnerships and further penetration into broader entertainment segments, to advance buildout of Razer’s ecosystem of hardware, software and services. Mr. Lee brings over 15 years of corporate finance experience in mergers and acquisitions, as well as capital markets advisory and an invaluable network of contacts. Prior to joining Razer, Mr. Lee was a Managing Director at Evercore Singapore, the leading global independent investment banking advisory firm. He was part of the initial team as the Singapore office commenced operations in 2013, which was awarded The Asset Magazine’s “Best M&A House in Singapore” distinction for three consecutive years. Mr. Lee has been Razer’s trusted advisor over the years through his involvement in Razer’s fundraising efforts and as a key banker for Razer’s initial public offering in 2017. He previously held senior positions as Head of Singapore Debt Capital Markets at ANZ, Principal at CIMA Capital Partners, and Vice President at J.P. Morgan where he served for eight years. Mr. Lee holds a Bachelor of Science degree in Industrial Engineering & Operations Research from Columbia University, New York. Mr. Michael Dilmagani has served as Senior Vice President of Sales ad Marketing of the Company since March 2011. He also served as Vice President of Sales of the Company in the United States from October 2005 to October 2006 and as General Manager and Vice President of Sales and Marketing of the Company in the United States from October 2006 to January 2011. Mr. Dilmagani received a masters degree in Business Administration from the University of San Francisco in December 1983. Mr. Choo Wei Pin is Senior Vice President, Corporate Development and General Counsel of the Company. He joined the Company in January 2015 as Vice President, Legal and Corporate Development, was appointed as Vice President, Corporate Development and General Counsel in April 2016 and was appointed to his current role in February 2017. Mr. Choo has also been Company Secretary of the Company since July 2015. Mr. Choo also serves as a director in certain subsidiaries of the Company, namely RazerVentures Holdings Pte. Ltd., ZVF1 Pte. Ltd., ZVMidas Pte. Ltd. and ZVMidas Cayman Inc.
Mr. Choo was admitted as an advocate and solicitor of the Supreme Court of the Republic of Singapore in May 1998 and has more than 15 years of experience as a legal practitioner. From 2008 to 2012, Mr. Choo served as Assistant General Counsel at Singapore Telecommunications Limited (a company currently listed on the Singapore Exchange Limited (Stock Code: Z74) and previously listed on Australian Securities Exchange (Stock Code: SGT)). From 2012 to 2013, he was Senior Vice President, Company Secretary and Head of Legal and Secretariat of CapitaMalls Asia Limited (a company previously listed on both Singapore Exchange Limited (Stock Code: JS8) and the Stock Exchange (Stock Code: 6813)), following which Mr. Choo served as Senior Vice President, Legal of CapitaLand Limited until 2014. Mr. Choo graduated from the University of Leicester with a bachelor’s degree in law in May 1996 and completed the Master of Business Administration program at The Anderson School at the University of California, Los Angeles in June 2002.
zVentures is Razer’s corporate ventures arm and an integral component of Razer’s strategic investments activities. 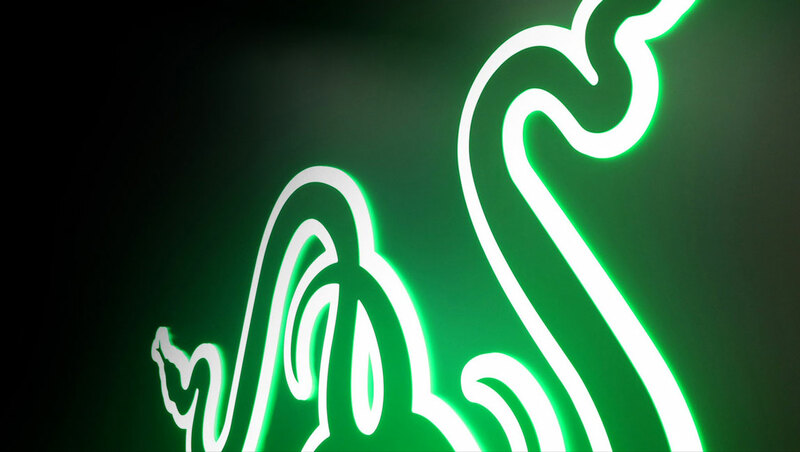 We focus on companies that have or will have a role to play within the larger Razer ecosystem. In addition to providing capital, we help our companies interface with Razer by allowing them access to Razer’s network of suppliers and OEMs, customers and investors, as well as allowing them to meet other stakeholders, industry leaders and influencers.